Thought of as stones of destiny, star sapphires are sought after for the unique “star” visible within the gemstone; this star has been said to represent faith and hope. 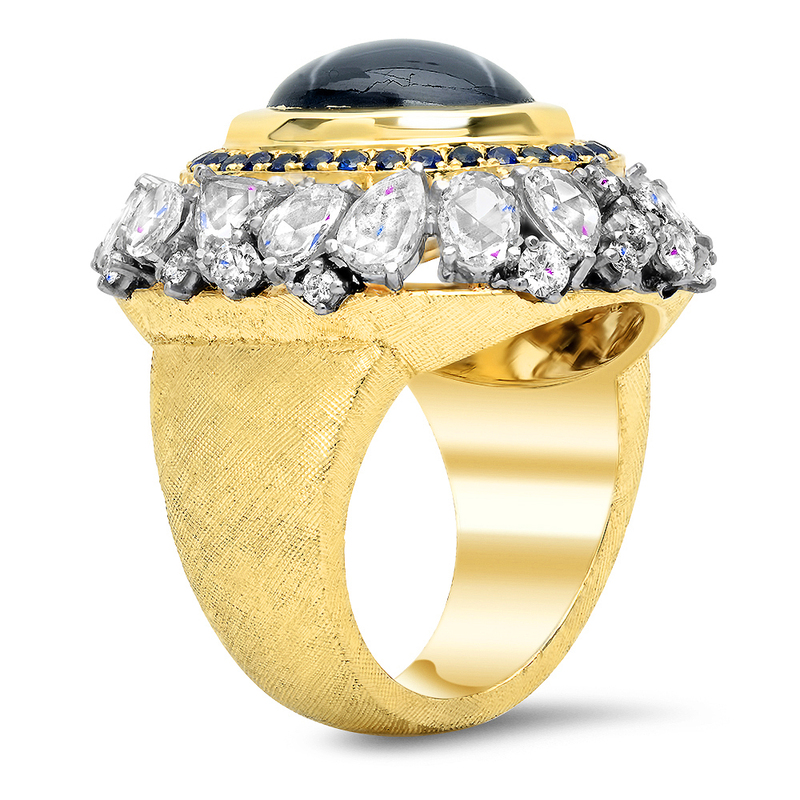 Every element of this bespoke ring is nothing short of luxurious. A deep, velvety blue star sapphire in a high polished bezel is flanked by a halo of resplendent blue sapphires. The surrounding crown is comprised of sumptuous rose cut diamonds in varying shapes and sizes, and the finishing touch is the elegant Florentine engraving that covers the tapered band.